If you are surfing the web looking for information on the rescission laws in place in Mexico right now, you’re in just the right place! Here you will find out all you need to know about timeshare rescission laws and the protections in place for Mexican timeshare owners, potential clients and vacation club members. Laws pertaining to the rescission period for timeshare were brought into force to protect both consumers and timeshare providers; these laws provide useful guidelines to both sides when it comes to just how long your right to cancel a Mexican timeshare lasts. Remember, however, when you buy a timeshare through a resale agent, you may not be protected by the current rescission laws in Mexico. 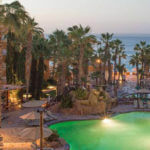 This article is concerned with the rescission laws that protect Mexican timeshare owners when they buy from a legitimate timeshare provider directly. 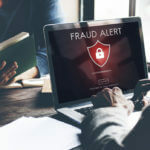 For scams and timeshare fraud information, please click here. What is the Mexican timeshare rescission period? The Mexican timeshare Rescission Period is also known as the cooling-off period, and, in essence, it is the period in which you can cancel your timeshare with ease and without consequence. Some fraudulent resale and cancellation companies will try to tell you that Mexican law does not allow for a rescission period to make you believe that you need their pricey services, but this is not true. What happens after the rescission period has passed for Mexican timeshare? Once the cool-off period has passed, rescission laws for Mexican timeshares cannot help you to cancel your timeshare. Once again, cancellation scams will try to trick you into thinking that this is not the case. 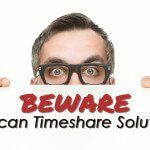 Remember, once the rescission period is over, there is no way to cancel a genuine timeshare contract. No matter what the timeshare cancellation sales agent promises you, you have no legal rights to cancel a timeshare after the cooling-off period has terminated. Consumers who buy from genuine Mexican timeshare providers first-hand are fully protected by rescission laws in Mexico, but when you buy from a resale company, or if you’re involved in a scam, you will find there’s little that can be done to help you. If you feel that you may have been involved in a scam contact the Mexican Federal Department PROFECO to make a formal complaint. Prevention is the best defence. 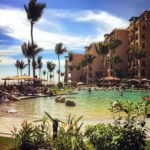 Share the post "Mexican Timeshare Rescission Laws"